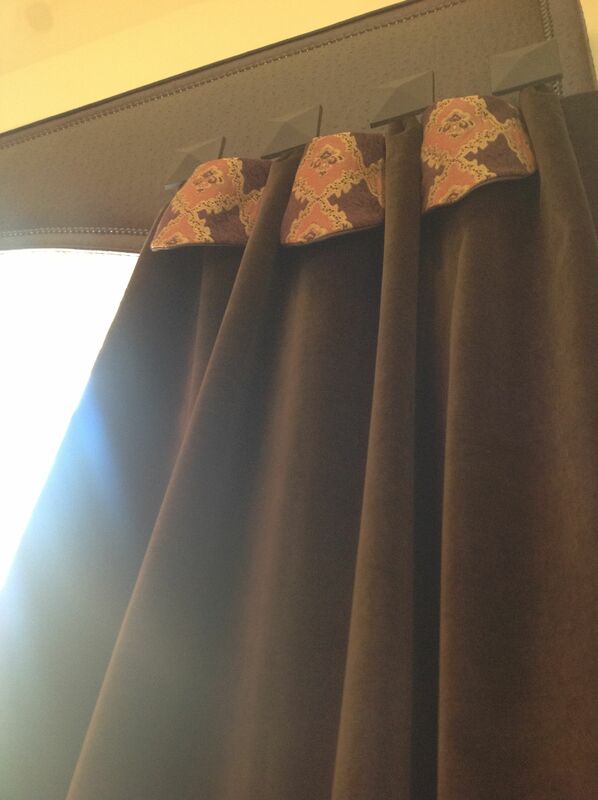 New Draperies for a Burr Ridge Client! 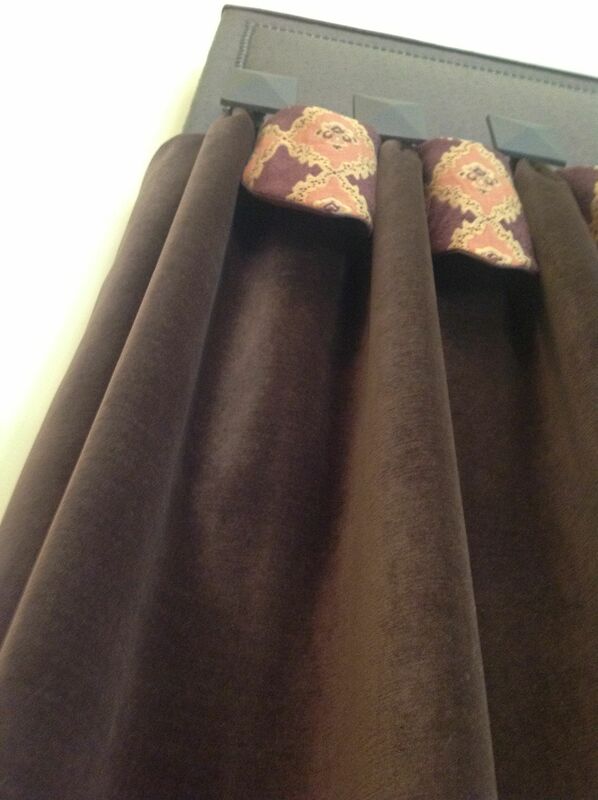 We finished installing new draperies for one of our clients in Burr Ridge Illinois! Allow as much light as possible to come in the room. Unique draperies that will make a statement. The draperies must have a masculine feel. 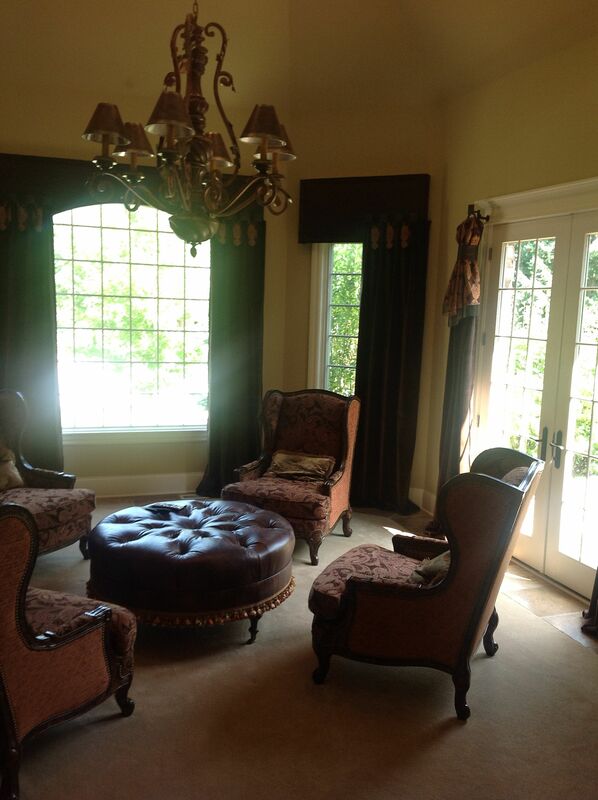 The draperies must blend and coordinate with the furnishings that exists already in the room. How did we meet the clients requirements? We created panels that are stationary and will cover small part of the window only. The design, the combination of fabrics and the use of the hardware is very unique. By using faux leather, velvet, nail heads in the cornice and how they all were put together, made the treatment have a masculine feel. Call us for a free estimate: (630)420-0800. 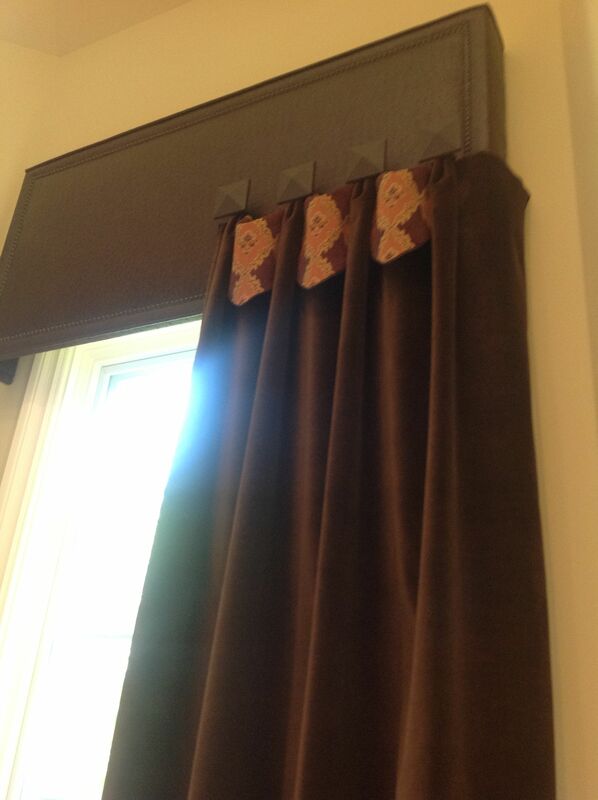 This entry was posted in Burr Ridge Draperies, Cornices, Custom cornices, custom cornices Burr Ridge, Custom Draperies Burr Ridge Illinois and tagged Custom cornices, Custom Draperies Burr Ridge Illinois, Draperies Burr Ridge Illinois, drapery panels by susangailani. Bookmark the permalink. Veer unique and regal looking drapery treatments. Stunning! Thanks for the comment, my goal is to design unique draperies that will enhance the surroundings, reflects the clients life style and stay with in their budget!